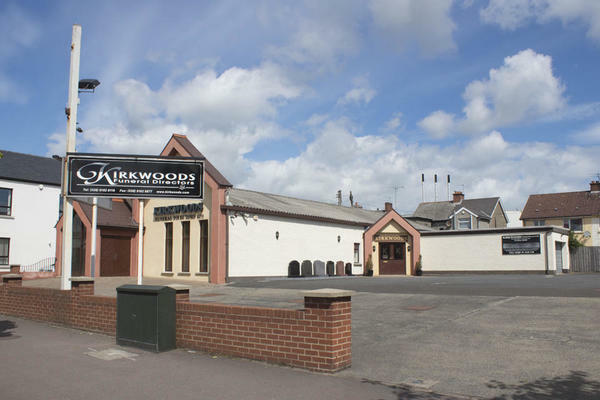 As local funeral directors, Kirkwoods have served the community for many years. As well as supporting Newtownards and the surrounding areas, we also help the local communities in Belfast and Lisburn from our other funeral homes. We are here to advise and guide you through this difficult time, and we do so by supporting you at every step. Our dedicated team will take care of the funeral arrangements to alleviate the stress that often comes with planning a funeral. We are a part of dignity, which means that we draw upon a wide range of knowledge and expertise, and we have access to a vast support network. For you, that means that you can get in touch with us at any time, 24 hours a day. It means that your loved one will be in the care of compassionate and respectful professionals, to give you peace of mind. Most of all, it means that we will work closely with you to arrange a fitting farewell for your loved one, taking each of your wishes into account, so that you can celebrate your loved one’s life in a meaningful way. Nothing is too much trouble, and we will do everything we can to honour any request you have. Our funeral home in County Down is able to hold services of up to 100 people. We also have three rest rooms, as well as a private arranging room and a family room. The funeral home is decorated to help you feel comfortable and at ease whenever you visit us. We understand how difficult it can be to plan a funeral, so please get in touch as soon as you need us, at any time of the day, and we will be here for you. It is our duty to make things easier for you, and we are always here to support you. Call us on 028 9182 8118 to talk through your personal requirements. There is ample free car parking available at our funeral home. We are opposite Ards Community Hospital's Minor Injuries Unit. Our staff are available 24 hours a day on 028 9182 8118 if you require our services outside of these hours.